We live in a time where the supermarket shelves are stacked with white liquid labeled as milk, from cows and buffalos pumped up with steroids and hormones that barely see, let alone chew, a blade of grass. The opposite is true with THE RIGHT MOO where at every step; we ensure that the milk is produced as nature intended it - from cows that graze outdoors for their grassy and organic diet to bringing it to your doorstep. Milk is made up of the nutrients in the food a cow eats and the water she drinks and so the right process of milk production begins with the cow. Our cows roam the farm freely and enjoy the nutritious organic grass. So the milk produced is light and rich, nutritious and utterly delicious. The cows are milked at the farm and instantly stored in bulk coolers. This reduces the acidity in milk. 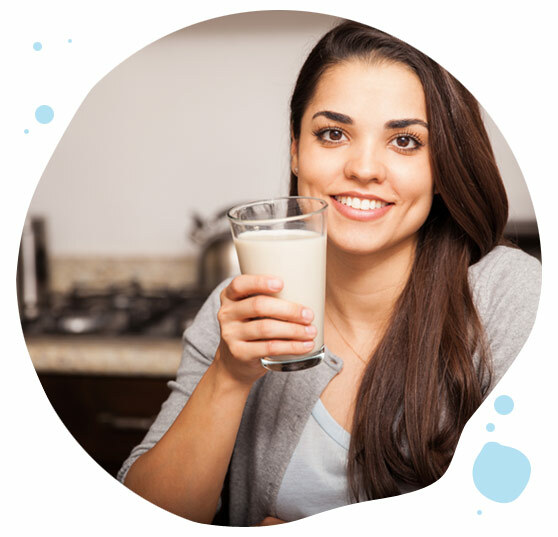 From bulk coolers to the packaging processes, nowhere is the milk exposed to human hands or environmental contamination. Every drop of milk you consume is preserved pure and fresh.